Elizabeth Splendor’s Newly Released “A Bullet Between the Eyes” is a Gripping Novel about a Young Brave Woman Who Faces Danger in the Middle East. “A Bullet Between the Eyes” from Christian Faith Publishing author Elizabeth Splendor is a suspenseful novel about Sana, a young woman who falls victim in a fixed marriage to an abusive man and has to deal with a terrorist gang hired to threaten her to give up her inheritance to her husband’s family. “A Bullet Between the Eyes”: a riveting story on a strong-willed woman who is determined to provide a good life for herself and her children in the perilous Middle East. 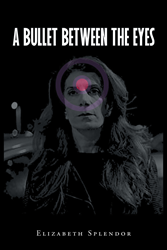 “A Bullet Between the Eyes” is the creation of published author, Elizabeth Splendor, an award-winning American filmmaker, actress, and director. Published by Christian Faith Publishing, Elizabeth Splendor’s new book is an extraordinary work of how bravery, love, and wit have triumphed over the life-threatening challenges the young Sana is dealing with, from her husband who abuses her to the Middle East’s most feared terrorist gang who is hired to pin her down. Sana is set to choose between following what the terrorists have imposed on her or not. Living in a land where laws are bent and family ties are tightly knitted, her character empowers readers—especially women—to be courageous on dangerous situations. View a synopsis of “A Bullet Between the Eyes” on YouTube. Consumers can purchase“A Bullet Between the Eyes” at traditional brick & mortar bookstores, or online at Amazon.com, Apple iTunes store, or Barnes and Noble. For additional information or inquiries about “A Bullet Between the Eyes”, contact the Christian Faith Publishing media department at 866-554-0919.